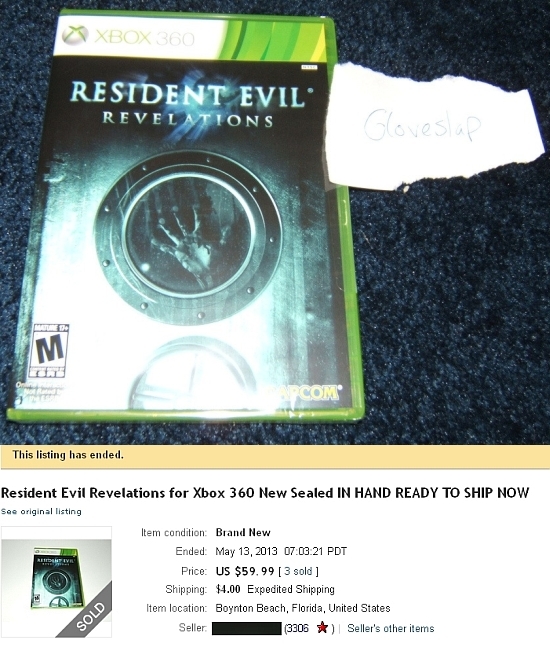 Resident Evil: Revelations: Retail Store selling Revelations early! This is kind of bizarre, but I just found 3 copies of the Xbox 360 version of this game at Target. The real kicker? They were in the clearance section with an “online item” clearance sticker on them. The price? A whopping $12.56. Yeahhhh…I bought all 3. He posted the above picture as proof. He later sold all 3 copies on Ebay. In related news, the digital copy of the game is already available on PSN (Japan) and for PC.